Looking for a Christmas gift idea for your lay leaders? 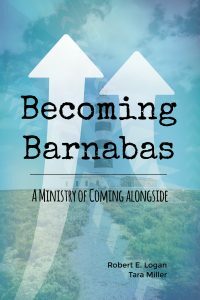 We have recently released a new edition of Becoming Barnabas: A Ministry of Coming Alongside. The focus is on the simple ways everyone in your congregation can contribute to an environment of encouragement. This short and readable book would make a great Christmas gift for your lay leaders or small group leaders. One of the things I love most about this book is how much positive impact can be made in a local congregation by practicing some very simple skills. My vision for this book was that it would be given to lay leaders throughout local churches to equip them to practice what I call “Barnabas skills”—basic coaching skills like listening well and asking good questions—at the congregational level. If this type of practice becomes rooted throughout the church, it has the power to transform the whole culture of the church. The church then becomes a place of encouragement, support, and empowerment. I’ve been privileged to see that dynamic at work in some congregations that have worked through Becoming Barnabas together and my hope is to see it spread through many more. If you’d like to learn more, check out this resource in the Logan Leadership Store. Contact us if you want to get a quantity discount.